Etching by Jacques Androuet Du Cerceau. Herbet, IV, 1900, 306 (1969, 156), VI (Petits Cartouches), 23. COLLECTIONS: Amsterdam (De Jong and de Groot, 1988, 228, 542.22). New York, 62.525, no. 1. Béguin and Pressouyre, 1972, 134. 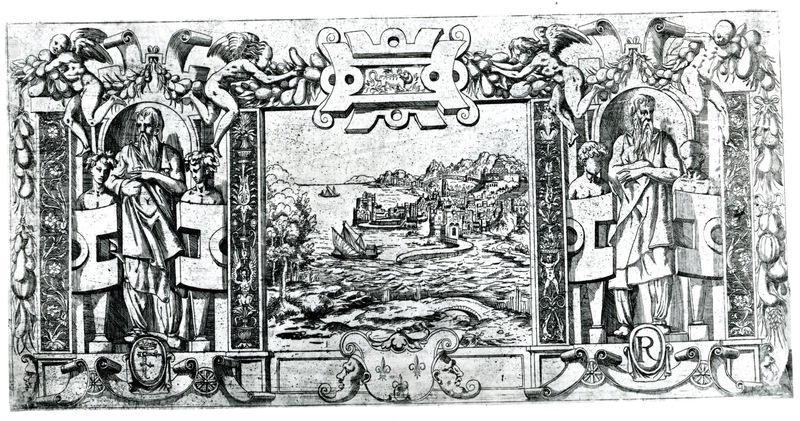 This print is closely copied from Fantuzzi’s etching (Fig.E.73), with the landscape omitted as well as the small scene above it and the F and R below the lateral figures. It is related to the framing of the Twins of Catania. It may be related to Du Cerceau’s Grand Cartouche, Second Set, 10 (E.56,8).